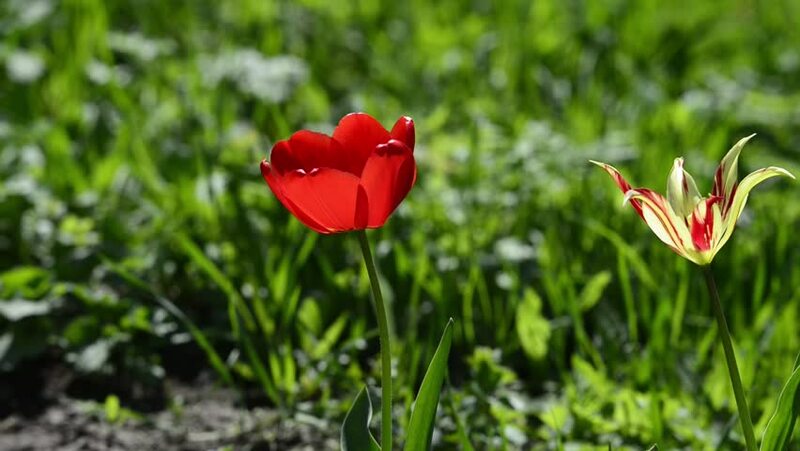 hd00:25Several red tulips blossomed on the lawn on a spring morning. A beautiful back light. hd01:00Red flowers in the garden. Close-up. 4k00:25Purple Orchid Tree, Ceramic Mobile in the wind.